Home / Great Deals / Huge Warehouse Sale – Going On Right Now! 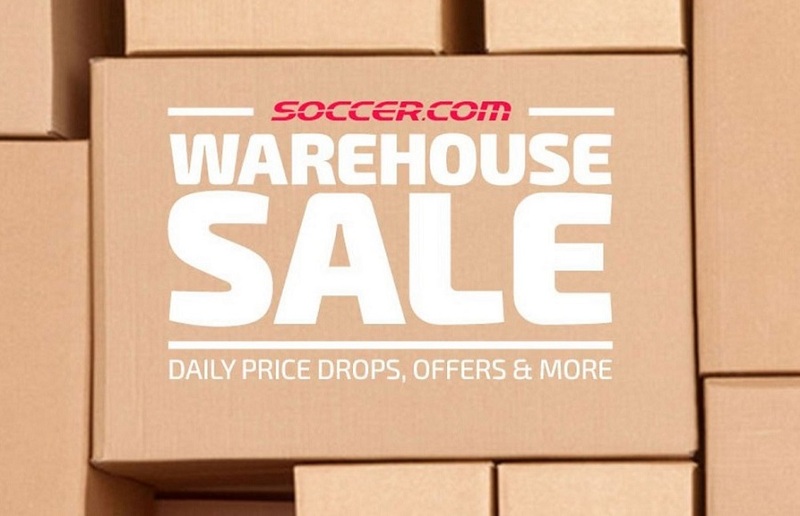 I know that there are a lot of you that wait all year for this one, the huge soccer.com Warehouse Sale Event. On offer, you can get gear that is upto 85% off. There is a lot of good stuff included in this one. BUT, it only runs for a few days, April 24th – 26th. Each day, there is a different bonus deal on offer. For example, today it is an additional 20% by using code WHSALE. Plus, Goal Club members can get free shipping on orders over $50 by using code FREESHIP50. Over the next day or two there will buy one get one free offers and some gear with added discounts. As we get details, we will update here. If you manage to find the right items, you can get some absolutely incredible deals. Head over to this page on soccer.com for all gear that is on offer.